Decriminalization Of Marijuana In New Jersey Starting In April 2018? Many citizens in New Jersey are excited about the recent election results, especially insofar as how they might impact certain drug offenses and charges in the state. We’ve discussed the possibility that New Jersey might legalize the recreational use of marijuana before, but since New Jersey Governor-elect Phil Murphy just specifically indicated that he would legalize marijuana within 100 days of taking office in January 2018, the potential for New Jersey to no longer criminalize possession of marijuana seems more likely to become reality—now more than ever. Thus far, those states that have legalized the recreational use of marijuana—such as Colorado and Washington—have only done so via ballot measures. Still, New Jersey legislators have indicated that they feel confident that recreational stores could open up in New Jersey as early as 2019. Unfortunately, arrests involving possession of marijuana are still very common in the state of New Jersey. You can not only get charged with possession, but also a school zone offense (depending upon where you were found) and/or possession with intent to distribute. Under NJ’s current law, possession of more than 50 grams of marijuana (including in any form) makes you guilty of a crime in the fourth degree (felony). For less than 50 grams, you can spend up to six months in jail and pay $1,000 fine for disorderly conduct, as well as have to do 100 hours of community service. If you are found selling less than one ounce, you can still spend 18 months in jail and pay a $25,000 fine, and the penalties increase depending upon the quantity that you are found selling; for example, they can reach spending up to 10 to 20 years in prison and paying a $300,000 fine if you are caught selling more than 25 pounds of marijuana. 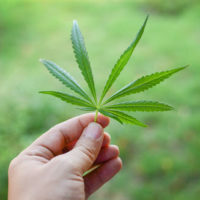 While legislation has already been circulated by state Sen. Nicholas Scutari and Republican Assemblyman Michael Patrick Carroll, it does not allow for home cultivation, which is permitted in seven other states that have decriminalized marijuana (as well as Washington, DC). The opposition to home cultivation appears to stem from the desire to regulate marijuana as an industry, and concerns that this would be impossible with folks growing it at home. Some have also indicated that they would support decriminalizing marijuana before legislation that would technically legalize its recreational use. If you have been arrested for possession of marijuana in New Jersey, you should speak with our experienced drug crime criminal defense attorney Phillip J. Murphy as soon as possible. We’ve been protecting clients in Bergen County and surrounding areas for more than 25 years. Contact us today for a free consultation and we can discuss your options.